Use of technologies like Internet of Things, virtual reality or artificial intelligence has surely made a mark amid various business sectors. Here are some of the areas were artificial intelligence has left its foot print. The wellness sector in the current times is witnessing huge growth. The trends of the industry come and go with the change of times, but the charm remains intact. It has brought forth a lot of changes among many. The innovative technology has changed lives of many and brought about the most welcome changes in the industry. One such trend is the use of artificial intelligence in the wellness sector. A.I. market is predicted to get a steady ascend crossing 35% of CAGR in the coming period. It is expected to commence from the year 2015 stretching all the way up to 2022. This is the most important area of business that requires the help of A.I. The commercial arena requires a great accuracy in mapping various aspects of the accounting arena of any industry. A.I. has the potential to collect all the relevant information and deduce the most accurate result. The use of A.I. is of paramount importance today with an ever-increasing amount of AI-based applications, tools, and software that makes them uniquely capable of addressing any complicated concern. Surprised as you might be, A.I. can also perform nothing short of a miracle in the customer service arena. If you had a little idea of the vast amount of emails or phone calls that a customer care executive has to deal on a daily basis then it would become possible for you to understand the fatigue that once sets in, makes the most capable of employees to make a mistake. With the cognitive potential and help of A.I. enabled software, the customer care executives would be able to answer all the concerns of their customers. The process of cleansing, inspecting, transforming, and modeling data with the aspiration of determining practical information, signifying conclusions, and sustainable decision-making does not signify the need for the use of A.I. But on the other hand, It is an extremely premium service that avails an interactive heuristic outlook and is more than capable of dealing with the sudden crisis. Artificial intelligence performs the task way better than it is done by human workers. 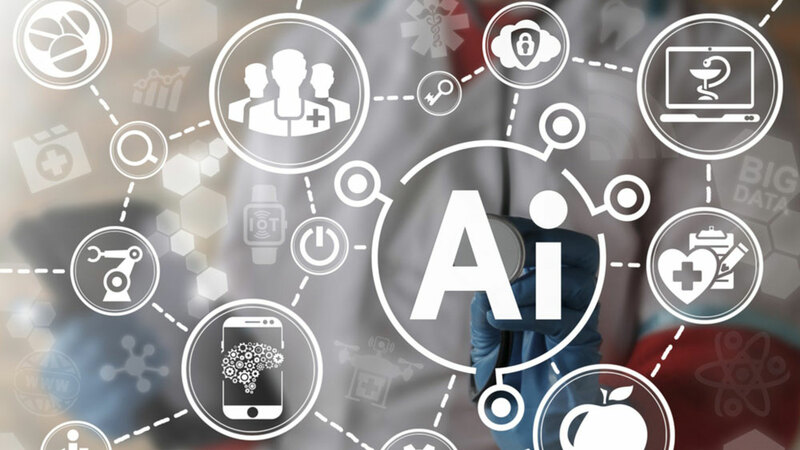 AI offers detailed reasoning, management of the symbolic descriptions, reflective hypothesis, amplified reasoning along with justifiable conclusions that would only assist the industry further. An industry that is in dire need of assistance is that of health care. The apps providing health care services are the prominent paradigm of the employment of Artificial Intelligence in the healthcare sector. It has become a major catalyst for the cause of re-dimensioning the industry. Healthcare apps are not the only things that display the use of Artificial Intelligence in the sector. A.I. is also exuberantly displayed on the branded wearables that keep track of an individual’s working and fitness schedule while maintaining, a very close eye on the key actions that helps an individual retain their health, like activity, nutrition, and sleep. The e-commerce industry is another one of the distinguished sectors that has benefited greatly with A.I. Starting from properly identifying the potential clients as well as helping the customers gain a great shopping experience, A.I. makes it happen by listing the prospective products of your choice as well as help then pay for the products in the shopping cart by offering a safe mode of play. Not only customer service, healthcare, data analysis and e-commerce, but artificial intelligence also helps one care for their security. The voice recognition processes, the fingerprinting software, number lock are all great examples of how well A.I. works for active security measures. The aspect in which artificial intelligence has improved daily life of the common man is surprisingly big. It has transformed and touched lives of many without even realizing it. The above-mentioned points just provide a glimpse of the potential of the A.I. It has something to offer each individual and every industry, should they like to, try it out, themselves. If you have a highly profitable and unique business, it’s time to let the world know about your brand. Participate in Franchise India Show, India’s first ever Franchise reality show only on Times Now and stand a chance to win prizes worth Rs.5.2 Cr. Click here for registration.